MIWF was announcing a competition for a logo to promote the different cluster of excellence like logistics or biotechnology in the state North Rhine-Westphalia in Germany. 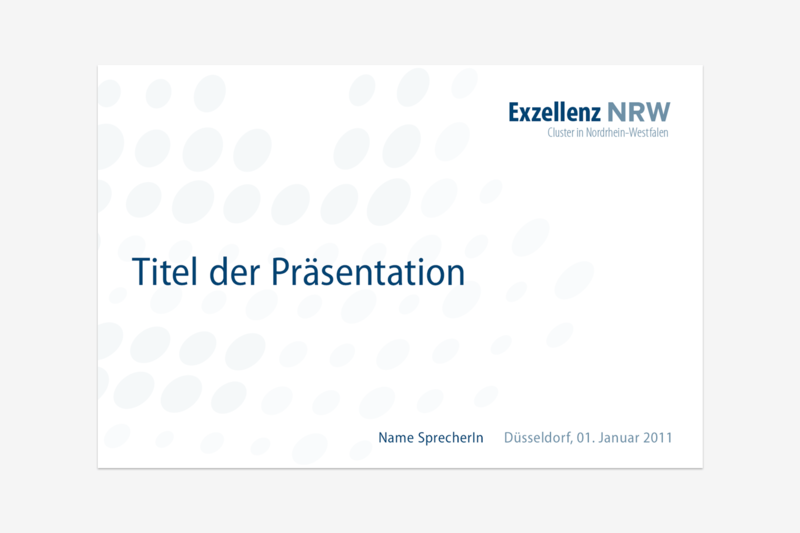 The brand name “Exzellenz NRW”, the typeface and the colors were given and needed to fit the corporate design of the state NRW. My aim was to create a logo which geographically represents the state as well as the different actors within it, may it be districts, cities, organizations or people. I wanted the sign to evoke a sense of dynamic and movement. I designed it to work in small sizes and both colored and unicolored. The logo was awarded 1st prize in the competition of MIWF.